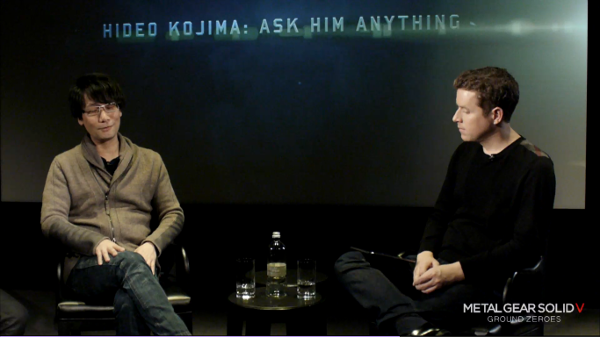 In an interview with Geoff Keighley, Hideo Kojima stated something that a lot of Silent Hill fans would no doubt freak out over if it came to fruition: a reboot of Silent Hill under his direction. When asked via a fan question what Konami series Kojima would like to reboot or direct himself, he quickly responded with “Silent Hill”. Now, there has been no announcement at all regarding a Kojima Silent Hill game, but we do know that Konami’s President had asked Kojima personally to take over the series, in 2012. Kojima has spoken about the Silent Hill series before, saying that he would like to lend the FOX Engine to the development of a new title, but not lead the project himself. “Honestly, I’m kind of a scaredy-cat when it comes to horror movies, so I’m not confident I can do it. At the same time, there’s a certain type of horror that only people who are scared of can create, so maybe it’s something I can do. “That said, I think Silent Hill has a certain atmosphere. I think it has to continue, and I’d love to help it continue, and if I can help by supervising or lending the technology of the Fox Engine, then I’d love to participate in that respect,” Kojima said at Eurogamer Expo 2012. Kojima’s comments in today’s interview reaffirm that Kojima is a self identified “chicken”, but his stance in the interview is a bit more vague than before. Perhaps he has warmed up to the idea of leading a Silent Hill game – as long as he’s ready for the nightmares, that is. The future of the Silent Hill series is rather hush, at the moment. Merchandising between statues, action figures, and clothing is all that us Silent Hill fans can look forward to. Silent Hill: Downpour released on March 13, 2012; Book of Memories then released in October, 2012. I don’t expect to see a new Silent Hill game for awhile, but maybe it will happen and will be a Kojima production to boot.